The Bristol Britannia XM496 Preservation Society is dedicated to the preservation of Bristol Britannia XM496 in RAF Transport Command livery. XM496 ‘Regulus’ is the only complete ex RAF Britannia in existence today. The Society is registered with the Inland Revenue as a ‘Not for Profit Organisation’. 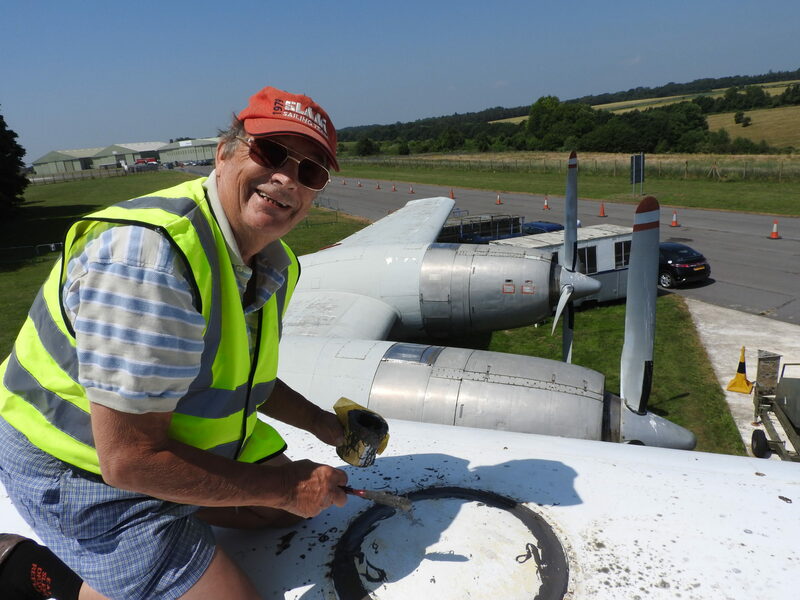 The preservation of “The Whispering Giant” as the Britannia is affectionately known has been a labour of love for all the volunteers who have taken XM496 from being close to scrapping to becoming a fully restored static display aircraft. For further details of the XM496 story please visit this page where you will find the full documented history of the aircraft’s restoration. The XM496 Society was formed out of the framework of the same named society but which did not have XM496 in its name. Please note that the Britannia Aircraft Preservation Trust (BAPT) is a separate organization and has no direct connection in the operation of the aircraft XM496 or to the Bristol Britannia XM496 Preservation Society. The original Preservation Society was founded on 1st November 2001 by Britannia experienced ground crew and aircrew out of basic concern that XM496, which was parked at Kemble airfield, was deteriorating rapidly. The aim was principally to take care of XM496 but also at that time it included sharing expertise to benefit other Britannia airframes. With these intentions it was hoped to work alongside the Britannia Preservation Trust whilst primarily maximizing the effort to the good of XM496. However, unfortunately it became more apparent that in practice the arrangement was not working, with major differences existing over co-ordination of efforts. Thus, after losing several valuable support workers, remaining Preservation Society members questioned the controlling authority for XM496 and the outcome of these investigations revealed that everything was still vested entirely with the original airline aircraft owner and partners. These aircraft owners believed that XM496 was being historically maintained and restored by interested individuals but when the condition of the airframe was revealed to them in late 2004 the owner’s representatives entered into discussions with the existing Preservation Society and BAPT. The conclusion of these discussions resulted in an agreement to specify a re-badged original Preservation Society as the autonomous and dedicated Bristol Britannia XM496 Preservation Society, with this Society having sole control over all aspects and interests of XM496. During the time period of discussions involving the implementation of XM496 Society control and efforts, a program of re-painting was put in place. Supported by the RAF Britannia Association who funded the expensive special paint, a nucleus of five Society members repainted the port side in the original Royal Air Force colour scheme that the aircraft wore when as ‘REGULUS’ she served with Royal Air Force Transport Command. At the same time a great amount of interior work was carried out including obtaining and installing some original seating and other fittings to a typical RAF role configuration. This phase was all completed in time for the Kemble Air Day on June 19 2005 and XM496 was towed to a prominent display position by a recently acquired ex RAF Sentinel Tug personally owned by founder members of the XM496 Society. The Bristol Britannia XM496 Preservation Society has established a good working relationship with the Kemble Airfield owners, Kemble Air Services Ltd, and is especially grateful for their continued support of XM496’s residence at Cotswold Airport.